worked tirelessly towards this goal. 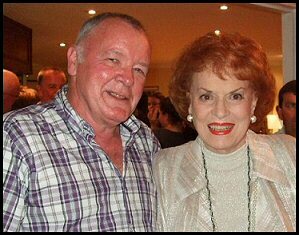 Gus Martin, from Ireland, visits Glengarriff for the Film Festival (July 2010) and a visit with Maureen O'Hara. Gus is the carpenter who re-created everything in Pat Cohan's bar in the village of Cong. 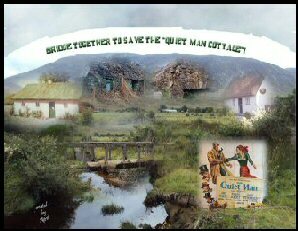 He said it was a labor of love because he has always been a big fan of "The Quiet Man." turned the exterior into "Pat Cohan's Bar: simply by changing the sign outside. Decades later - Sept. 17, 2008, the bar opened officially. Click on photo above to read more about Gus. 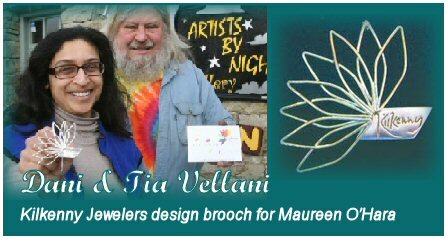 was presented to Maureen O'Hara on March 30th when she was guest of honor at their special event. 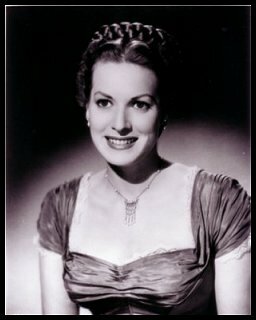 Another great interview of Maureen O'Hara by Pat Troy a prominent Irishman now from Washington D.C.
and is listened to worldwide, including Ireland and even by the troops on the ground in Afghanistan. Pat is an absolute delight as he chats with Maureen, sending her birthday wishes across the miles. You'll love this one! It's on YouTube with a video tape of the broadcast happening. 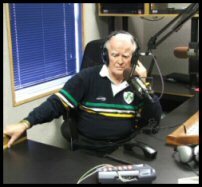 To learn more about this colorful host - visit his website, Pat Troy's Irish Radio Show. 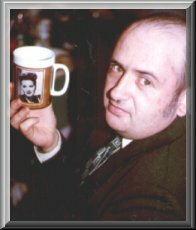 and former fan club president from the 50s and 60s, the late John Kolcun. 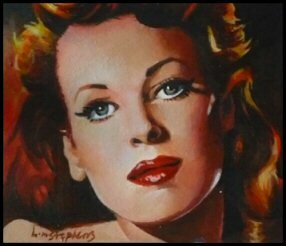 Harry Carey, Jr. (aka "Dobe") has been a respected friend of Maureen O'Hara for many years. gives you an opportunity to purchase his book "In the Company of Heroes." Maureen's late husband, General Charles Blair is honored in this museum. "During the 1930s an early 1940s, the port of Foynes was the fulcrum point for air traffic between the U.S. and Europe. The flying boats were frequent visitors, carrying a diverse range of people, from celebrities to refugees. The Foynes Museum recalls this era with a comprehensive range of exhibits, graphic illustrations and an audio-video show." and information about your favorite "B" movie actors from the 1950's and 1960's. Take a look at what's playing and then click on the screens to access the pages.